31/10/14. Alqosh, Iraq. 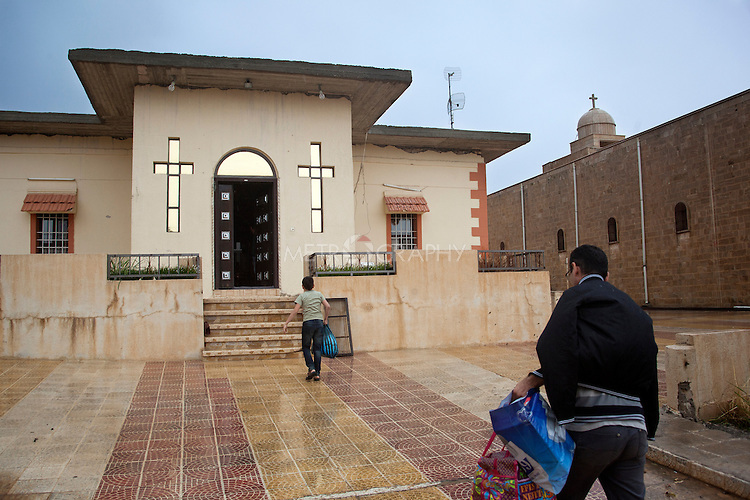 Wassam (left) walks ahead of his uncle Salam as they walk through the gates of the orphanage, part of the Virgin Mary Monastery in Alqosh.